White chocolate chips, raspberries and blueberries make these Red White and Blueberry Cookies a fun, patriotic treat for the 4th of July. Happy 4th of July! 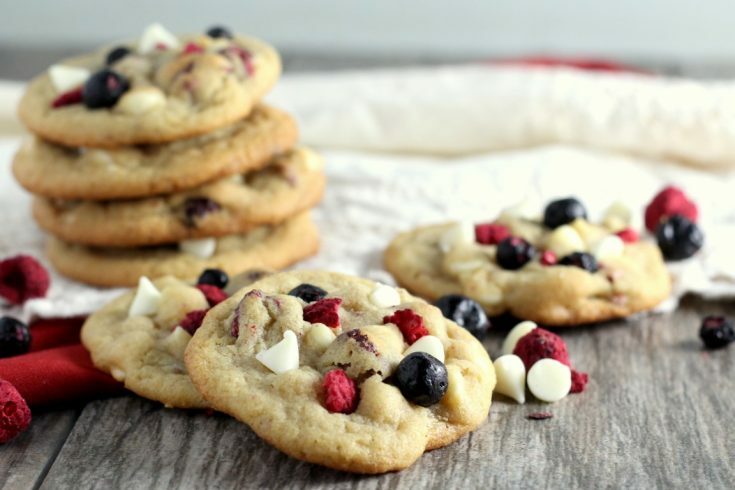 If you have some time today, I recommend stirring up a batch of these Red White and Blue cookies to celebrate. 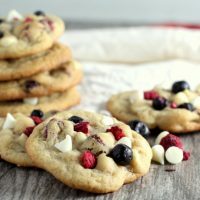 This weekend I made a batch of my favorite chocolate chip cookies and instead of using traditional chocolate chips, I decided to be a bit festive and throw in some white chocolate chips and dried raspberries and blueberries I had on hand. (In case you’re wondering, I used Trader Joe’s freeze dried raspberries and blueberries. Some things just jump into your cart don’t they? 🙂 I may have another variation that uses raspberries which was my original intent.) 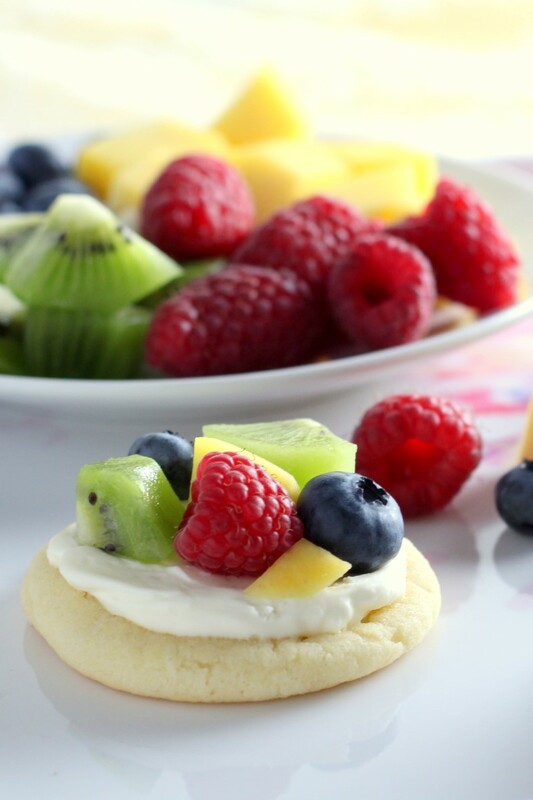 It’s a bit late to share a 4th of July recipe with you, but after they turned out so cute, I couldn’t not share. 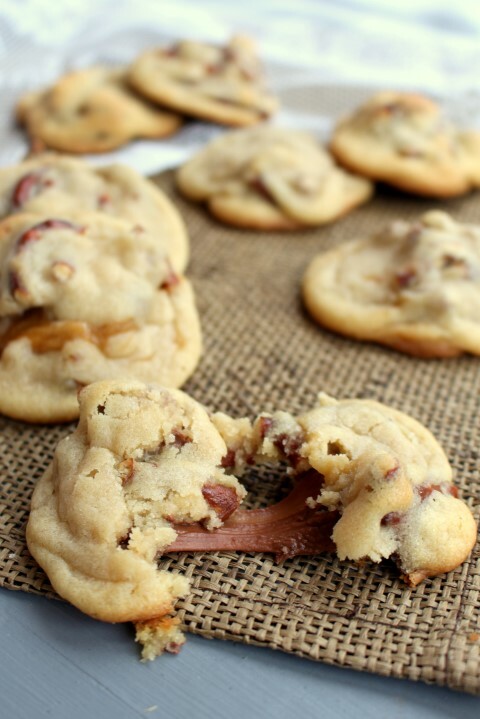 They taste great too – the summery version of my soft and chewy chocolate chip cookies. I hope you’re all having a wonderful day relaxing with your family and taking and extra moment to appreciate the freedoms we enjoy. Sometimes I get anxious about the state of affairs in our country and forget to be thankful for all the freedoms we do have right now. I don’t want to forget that! 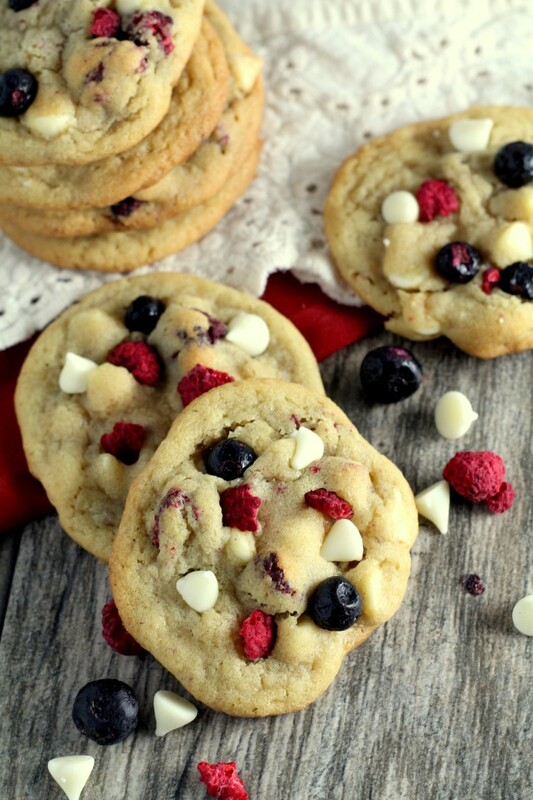 White chocolate chips, raspberries and blueberries make these Red, White and Blueberry Cookies a fun, patriotic treat for the 4th of July. Cream butter and sugars together until light and fluffy. Beat in eggs and vanilla. In a separate bowl combine flour, cornstarch, baking soda and salt. Add to butter mixture. Stir until combined. Stir in white chocolate chips. Carefully stir in the dried raspberries and blueberries Form into balls about an inch or slightly more in diameter. Chill for at least 2 hrs or a couple days if you don't want to eat them right away. Preheat oven to 350 and grease cookie sheet. Bake for 8-11 minutes until edges are lightly brown. Do not over-bake. The centers may still look doughy. 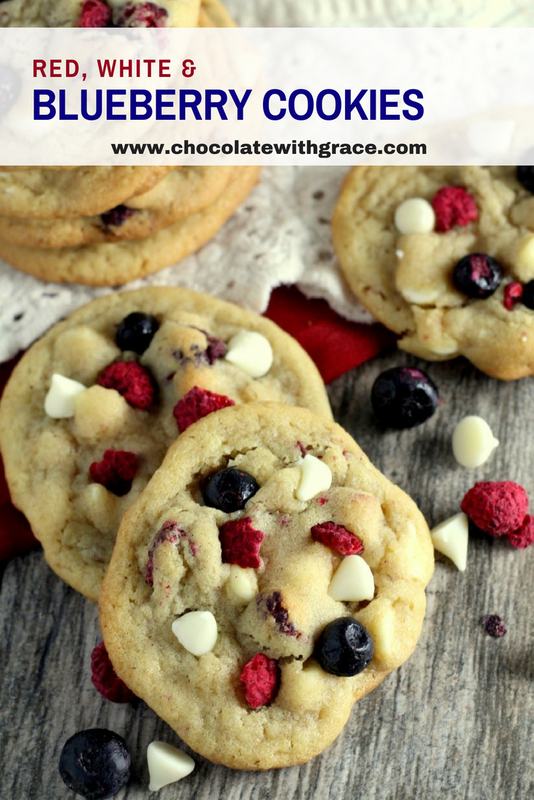 To make the cookies a bit prettier, you may press in a few additional chocolate chips and dried raspberries and blueberries. Press them gently into cookies that came straight out of the oven. Allow to cool on the cookie sheet for 5 minutes and then cool completely on wire rack. It’s been fun watching the Red, White and Blueberry trend that is happening on the internet this year. Here are some other recipes I want to try. Red White and Blue Cheesecake Stuffed Strawberries from Dessert Now! Dinner Later!